A rail firm is changing its policy following a backlash after a passenger was charged 10% of the cash found in his lost wallet for its return. Adam Howells had to pay £8.60 commission - as well as a £2 administration fee - to have his wallet returned after he left it on a train. Arriva Trains Wales said it would return the commission to him and change its policy immediately. It comes after the fee was described as "outrageous" on social media. The rail operator initially said its lost property charges were in line with other rail operators but a further statement issued on Friday said it was taking action following "feedback". Mr Howells, 28, who left his wallet on a journey from Cardiff to Lydney in August, said: "I received a letter stating they had found my wallet and there would be a £2 release fee. "It was only when I picked it up that they told me the money had been removed, put in their till and they would take 10%. "I understand there's a set release fee but it's odd why there's a different charge if you have more money. "A wallet with £2 inside and a wallet with £100 go through the same process. "I think people are shocked by their [train operators'] policy." 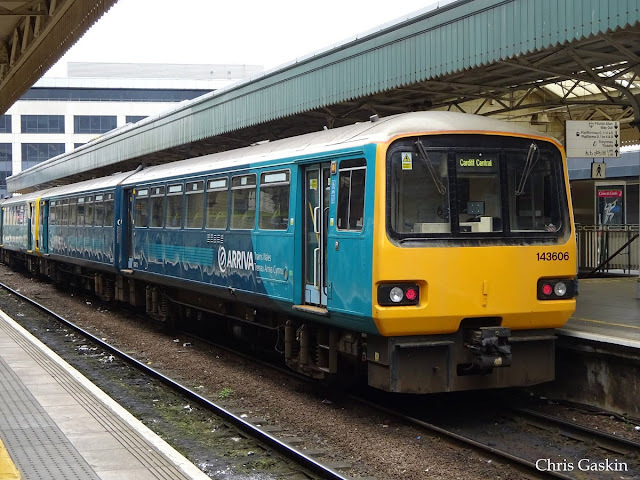 Arriva Trains Wales said: "Our customers' feedback is really important to us and, following recent feedback on this issue, we will now be changing our policy with immediate effect. "In this instance we are happy to refund the percentage that was charged to the customer who brought this to our attention. "We are happy to begin the process of reviewing the Lost Property policy with customer groups and rail industry regulatory bodies. "Tens of thousands of items are lost on the railway network every year. "At Arriva Trains Wales, we charge the minimum amount possible and have done since the franchise began. "In addition any unclaimed items that we receive are donated to charity or are recycled appropriately." The company faced criticism on social media with many rail users unaware of the charges. In addition to any courier or postal service fee, a lost property release fee will also be payable, varied depending on an item. If a courier is requested to collect any item lost property charges will apply, as well as any courier fee (which has to be arranged independently).